Hans Sitt (Jan Hanus Sitt) was a Hungarian violinist, violist, teacher, conductor, and composer born (in Prague) on September 21, 1850. When he was born, Brahms had not yet even begun to make a name for himself – when he died, Stravinsky had turned the musical firmament upside down. Although Sitt was a prolific composer, he is better remembered – if at all - as a teacher. Unfortunately, he had no outstanding students who would have turned him into a legend. Louis Zimmermann was probably his most famous pupil. Sitt’s father was a violin maker, a luthier. Sitt entered the Prague Conservatory (Czechoslovakia) at age 11 and studied with Moritz Mildner and Antonin Bennewitz, among others. He graduated in 1867, at age 17 and almost immediately was engaged as concertmaster of the Breslau Opera Orchestra in Wroclaw, Poland – Wroclaw is one and the same as Breslau. It is about 120 miles northeast of Prague. Sitt stayed for six years and then served as concertmaster of an orchestra in Chemnitz (Germany) for another six years. Chemnitz is about 60 miles northwest of Prague and 35 miles south of Leipzig, Germany. Sitt enjoyed a very brief career as a touring virtuoso and served as conductor of several orchestras in Europe – I don’t know which orchestras – including some in France and Austria. In 1883 (some sources say 1884) he began his teaching career at the Leipzig Conservatory. It was here that he was invited to be part of the Brodsky Quartet as a violist, with Ottokar Novacek on second, Adolph Brodsky on first, and Leopold Grutzmacher on cello. He left the conservatory in 1921. He had been there almost forty years. 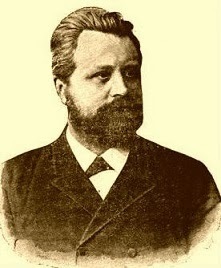 From 1885 to 1903 he conducted the Bach Society Chorale in Leipzig. His violin studies – although not as well-known as the Kreutzer or DeBeriot or Rode books - are still in use today. He was one of the first to systematize the study of scales – in thirds, sixths, octaves and tenths. He composed six violin concertos, two cello concertos, three viola concertos, many concert pieces for violin, viola, or cello, and a few chamber music works. One of his piano trios is available here. He probably played a very fine violin but I don’t know what that was. Sitt died on March 10, 1922, at age 71.